PYONGYANG, North Korea - Hailing the progress made in inter-Korean relations at the end of the third summit held between leaders of the two countries, that have been engaged in conflict for several decades now, South Korea made a key declaration on Wednesday. The South Korean President Moon Jae In announced on Wednesday that his North Korean counterpart, Kim Jong Un had agreed to shut one of the country's main missile testing and launch sites. The decision was made by the North Korean dictator at the end of his meeting with the South Korean President, who visited Pyongyang for the third summit between the two Korean leaders. Jae In said that Kim Jong Un had signed a pledge to permanently close the Tongchang-ri facility, after talks in Pyongyang. Adding that both the leaders had also "agreed on a way to achieve denuclearization" on the Korean peninsula. In a statement, Kim Jong Un raised the possibility of becoming the first North Korean leader to visit South Korea and said that he hoped to "visit Seoul in the near future." More importantly, Kim Jong Un also confirmed in his statement that the country's key engine missile testing and launch facility - the Tongchang-ri facility - would be permanently closed "in the presence of experts from relevant nations." The summit between the two Korean leaders was focussed on the issue of denuclearization and comes at a time when talks between North Korea and the U.S. over the same issue, have hit a roadblock. In June this year, the U.S. and North Korea agreed to work towards denuclearization in broad terms. However, since then, negotiations have stalled since North Korea has been demanding sanctions relief and the U.S. wants to see concrete action towards denuclearization before lifting crippling economic sanctions. However, reconfirming its commitment towards denuclearization of the Korean peninsula now, North Korea has expressed its readiness to shut down the Yongbyon nuclear facility. North Korea is believed to have produced the material used in its nuclear tests from Yongbyon. Meanwhile, experts also pointed out that North Korea's offer to shut down its Tongchang-ri facility in the presence of experts was they key takeaway from the summit. While some satellite imagery has showed that Tongchang-ri is already in the process of being destroyed, what is important is that now, international inspectors will be able to verify the process. Washington-based monitoring group 38 North has pointed out that Tongchang-ri has been North Korea's main satellite launch facility since 2012. The facility has been used for testing engines for North Korean missiles that are capable of reaching the U.S. Responding to the news, China welcomed the outcome of the summit. The key North Korean ally, China said that both sides had found "new and important common ground." Meanwhile, the U.S. President Donald Trump tweeted his appreciation for the Moon-Kim summit. In a two-part tweet, Trump wrote, "Kim Jong Un has agreed to allow Nuclear inspections, subject to final negotiations, and to permanently dismantle a test site and launch pad in the presence of international experts. In the meantime there will be no Rocket or Nuclear testing. Hero remains to continue being............returned home to the United States. Also, North and South Korea will file a joint bid to host the 2032 Olympics. Very exciting!" Apart from the agreement to denuclearize, South Korea managed to achieve another great breakthrough. The South's defence minister and the head of the North Korean army also signed an agreement to reduce military tensions. The two countries agreed to set up a buffer zone, which is to be established along the border to prevent accidental clashes. 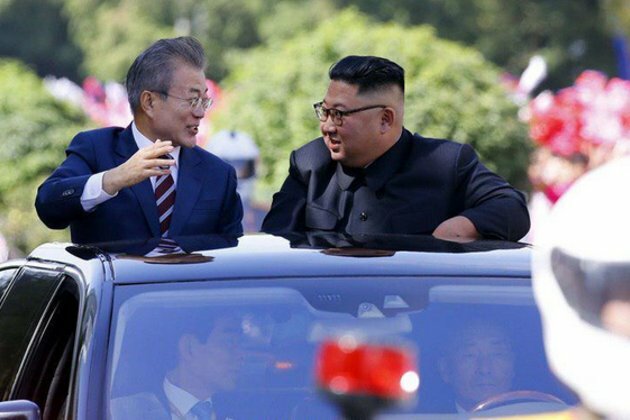 Moon Jae In's visit became the first trip made by a leader from the South, to the North Korean capital in a decade.